The irrational exuberance experienced by California housing market participants stands in sharp contrast to the relatively stable valuations seen in non-bubble markets. 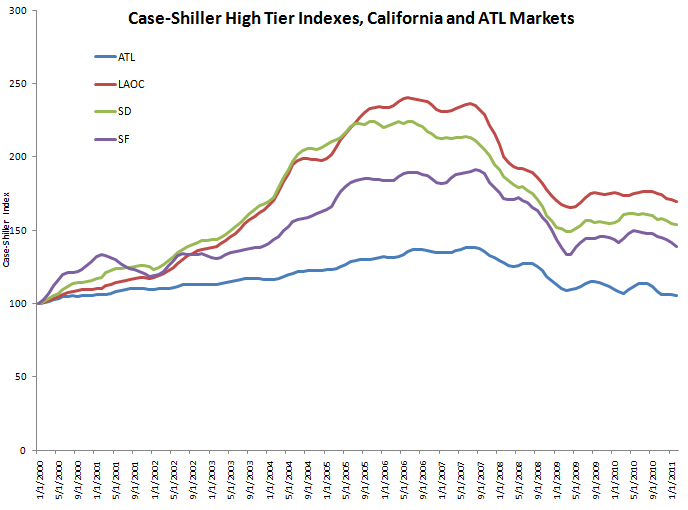 While the low tier of the Atlanta market has declined dramatically in the last two years, the Atlanta market did not experience the bubble-based valuation seen in San Diego, Los Angeles/Orange County, and San Francisco. On a relative basis, the high end of the market did not rise as much — and has not fallen as much after the bubble collapsed. 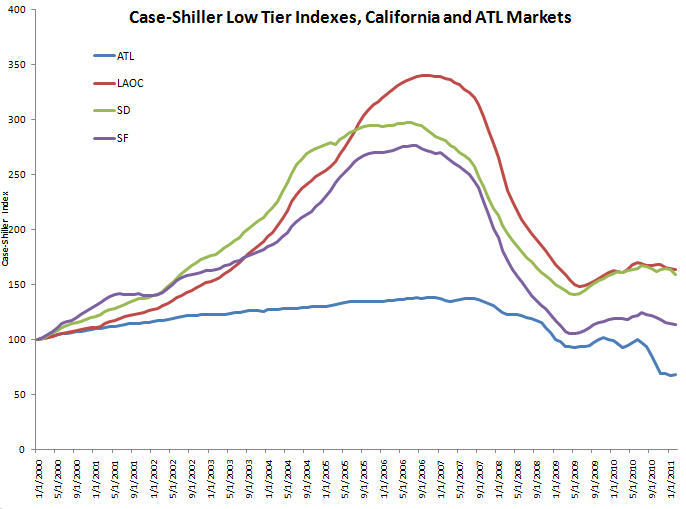 Nonetheless, the distinction between California markets and the non-bubble control (Atlanta) is clear. This entry was posted in analytical methods, real estate analytics and tagged Atlanta, Case-Shiller, home values, LAOC, Los Angeles, Orange County, real estate, tiered. Bookmark the permalink.